In my last post, I mentioned how I purchased 5 different styles of Koko lashes from Lady Moss during their Memorial Day sale and will be testing out style as I wore them. Well, today, I wore the style in "Ariel" and will be reviewing those for you today! Same as the Foxy style. Simple and beautiful packaging. The thing that bothers me, which also occured with the previous pair I reviewed, is that the name of the lashes are on the plastic insert and not on the outside of the box. I am assuming this will be the case with all the lashes. Post-trim. I trimmed off about a 1/3 cm. These lashes were easy to apply. 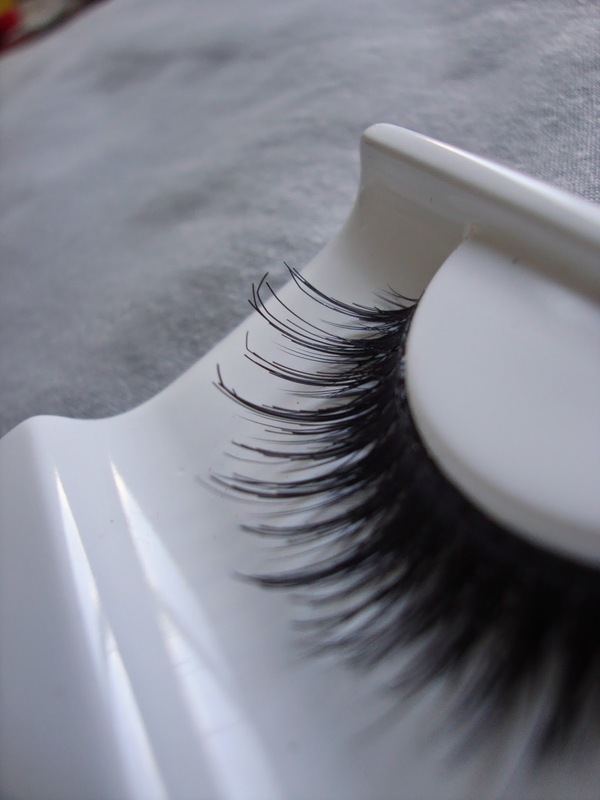 These lashes do have a thicker band so it is essential to wiggle/manipulate the band to make it more flexible. I waited a full minute before I applied the lashes (this is essential to do for thicker bands) and were easy to move around before I was satisfied with the placement. 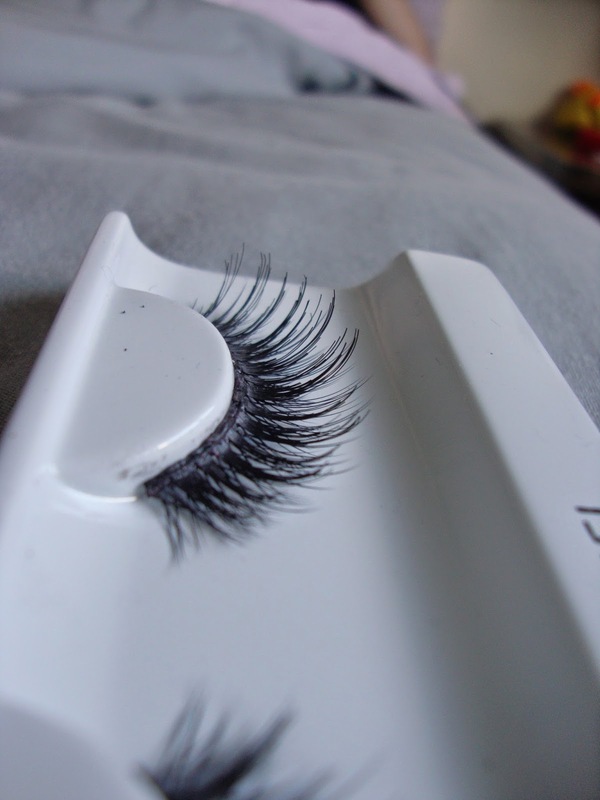 If the left eye false lash looks weird, I seriously do manhandle my lashes. I will show the right eye for comparison and a proper before and after. For some reason, the hairs weren't as high quality as "Foxy"; The hairs weren't as soft and the cut to them was more blunt. 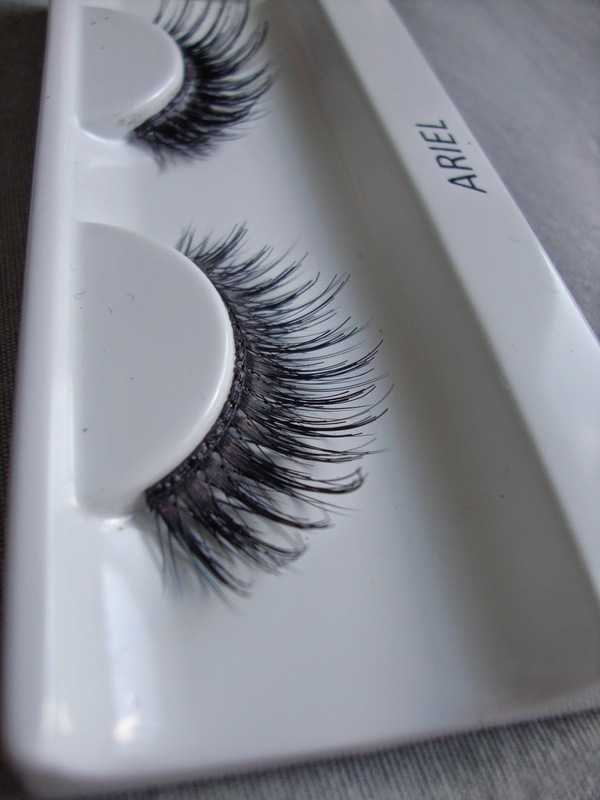 The hairs are of similar quality to Ardell lash hairs, and I think for the price, these lashes are good quality, but not great. I got these for $4.79 on sale but they are $6.99 retail price. Maybe, but it wouldn't be the first lash I would restock. 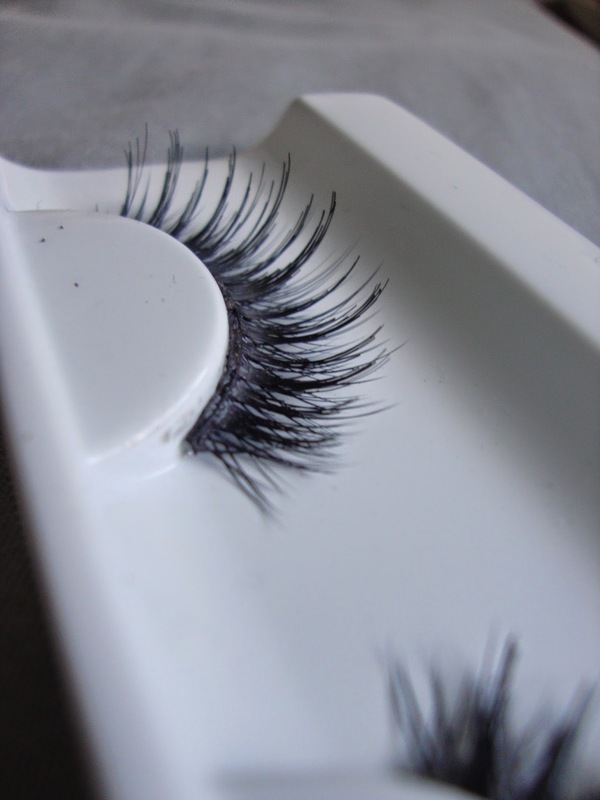 For those wondering, these lashes are similar to House of Lashes Noir Fairy but are slightly spikier and not as full. Another cheaper and similar alternative is Miss Adoro #423 but this style is not as widely available (often sold out).